As a reliable brand, we understand that our employees, customers and the wider community expect us to conduct business in a thoroughly responsible, transparent and ethical manner. To achieve this we focus on three key areas: Workplace, Community and Environment. We encourage individual responsibility. Our Innovation Committee has been created for employees to put forward ideas of working more efficiently and continually become more sustainable. We listen to how we can better improve our service and act upon it. We continually strive for a sustainable business model. We are evolving to an agile working structure, resulting in less paper being used and further collaboration electronically, encouraging a resourceful workplace. Every project we undertake upholds the highest Health & Safety standards. We recruit an external company to constantly assess the safety at every site we operate on. We are committed to supporting the LandAid charity. LandAid is the property industry charity, working all year round to help end youth homelessness in the UK. We pledge to continue fundraising and awareness efforts through our newly appointed LandAid Ambassador. We believe in our people. Our team members are at the heart of why we do business and it’s their talent and skills that help us achieve our vision. Each team member strives to meet clients’ needs, but it is equally important to us that we do what we think is right, and to make a stand for what we believe in. We have a commitment to educating as well as delivering. We aim to host a number of seminars under our Smarter Workspaces Series throughout the year. Each seminar will aim to educate and provide skill development on subjects such as sustainability, innovation and health and wellbeing in the workplace. Our aim is to do more with less. We are as efficient as possible throughout our projects. We use the latest BIM software to establish the site structure and produce our designs, meaning all decisions have been finalised before the production starts. This improves work efficiency, reduces material wastage and supports our environmental responsibilities. We respect the wider environment. Our designs capture the full area so we have a holistic view of the operations involved and cause minimal impact to the wider environment. We take great pride in the standards that we keep. We source our products ethically and we have a preferred list of suppliers. The materials are used in resourceful ways to produce less waste and minimise our environmental footprint. We deliver a service that stands the test of time. 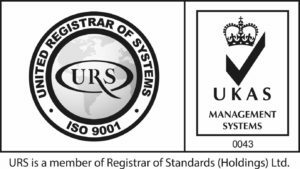 This standard provides guidance and tools to ensure our products and services consistently meet customer’s requirements, and that quality is consistently improved. This standard provides practical tools to manage our environmental responsibilities. This standard helps to put in place the policies, procedures and controls needed to achieve the best possible working conditions and workplace health and safety, aligned to internationally recognised best practice. 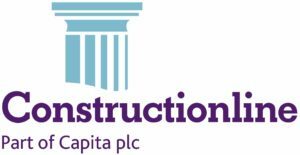 This is a register for pre-qualified contractors and consultants used by the construction industry of the United Kingdom. They help to simplify procurement tasks, reduce risk, keep pace with legislation and achieve more. The Hertfordshire Chamber of Commerce provides first-class business support, as well as bringing people together from different business sectors to help us connect, collaborate and grow; locally, nationally and internationally. They bring the property industry together to provide safe, suitable and affordable accommodation for young people facing homelessness, giving them a brighter future. The largest grant-making breast cancer charity in the UK. A steady movement of volunteer efforts across the globe developed into a committed charitable organisation. When major incidents strike, they offer support to those affected. They serve those in need with quality food and refreshment.